Euro style has arrived in the Remonte Dorndorf by Rieker Malea 08. This t-strap features a premium leather upper with cutout detail for added style and an adjustable strap for on/off ease. 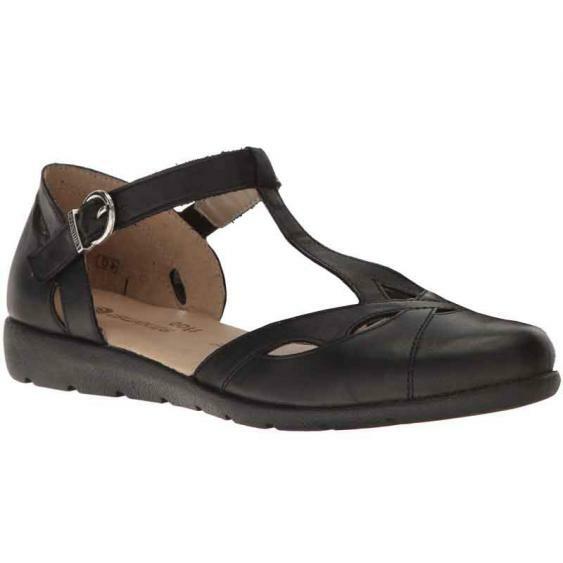 The leather covered footbed is generously cushioned from heel to toe, and features support in all the right areas. Soft leather lining conforms to the foot and wicks away moisture to keep you dry. A durable synthetic outsole maintains traction and grip and helps your stride remain steady while leaving for plenty of flexibility. Grab some contemporary style with the Remonte Dorndorf Malea 08 t-straps.